Baguio City Ads - myBaguio.biz - Baguio Ads, Buy and Sell, Classifieds and Forum Site! CELL-INDIAN SHOP !!! BIGGEST SALE ON GOING!!! LOTS OF NEW ARRIVAL !!! BRAND-NEW QUADCORE LAPTOPS ON BIG SALE!!! AVAIL OF OUR BRAND-NEW LAPTOPS @ FACTORY PRICES!!! 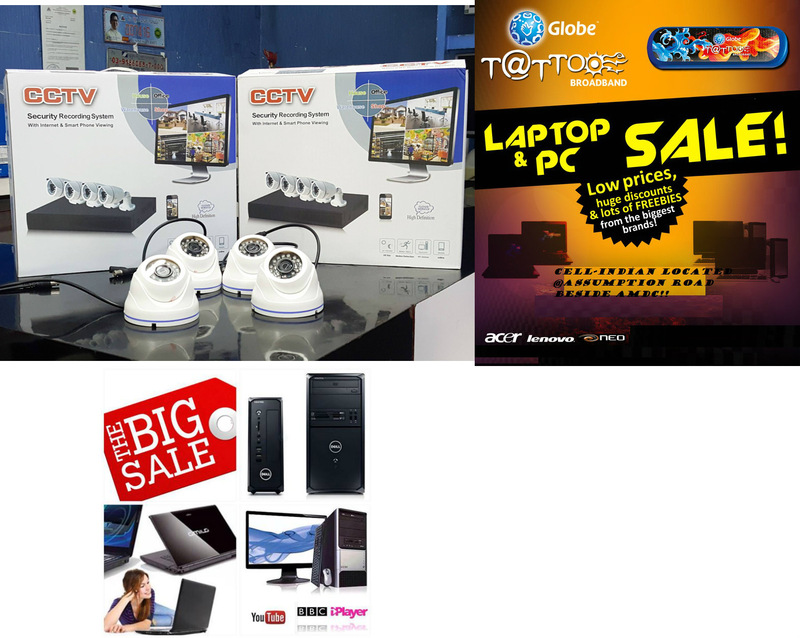 CCTV PACKAGE @ GREAT DEALS!!! 2 YEARS WARRANTY FOR BRAND-NEW LAPTOPS!! 6 MONTHS WARRANTY FOR SLIGHTLY USED ITEMS!! BRAND-NEW DESKTOP PACKAGES ON BIG SALE!!! HUGE DEALS ON LAPTOPS AND OTHER GADGETS! PLEASE ASK FOR OUR FREEBIES!! mouse and bags to be given away!!! FREE FLASH DRIVE USB FOR EVERY LAPTOP!!! Price: WE ARE ALWAYS ON SALE!!! Brand new ! ! ! Now Available ! ! !